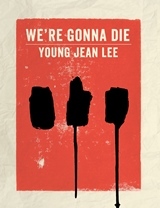 Drawing from true stories of people's experiences with tragedy, despair, and loneliness, Young Jean Lee creates a life-affirming show about the one thing we all have in common: we're gonna die. This book includes a CD of all six songs (performed by Young Jean Lee with her band Future Wife) and eight monologues (performed by Laurie Anderson, David Byrne, Kathleen Hanna, Adam Horovitz, Matmos's Drew Daniel, and Martin Schmidt, Sarah Neufeld, and Colin Stetson). Young Jean Lee has written and directed ten shows in New York with Young Jean Lee's Theater Company, and her work has toured to more than thirty cities around the world. Her other plays include Straight White Men, The Shipment, Lear, and Songs of the Dragons Flying to Heaven. Her awards include a Guggenheim Fellowship, two Obie Awards, a Prize in Literature from the American Academy of Arts and Letters, and a Doris Duke Performing Artist Award. Book is sold with CD of six songs and eight monologues.